What happens when you cross awesome chickens with colored eggs? You get something fan-freakin-tastic that has both beauty and functionality. Breakfast just got a little more interesting, and now every day feels like spring. My cuckoo Maran pullet. Her name is House. 1. Marans. Marans lay brown eggs, and can lay anything from a light brown egg to the coveted chocolate-colored chicken egg. 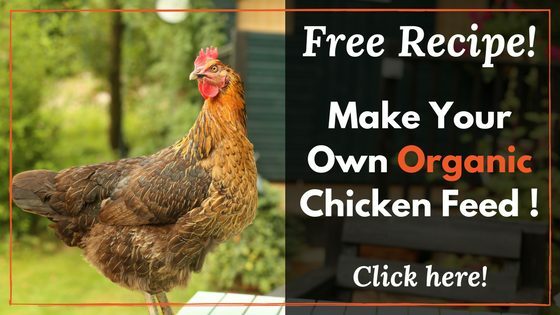 There’s a lot of Maran varieties to choose from, from cuckoo marans to black copper marans. 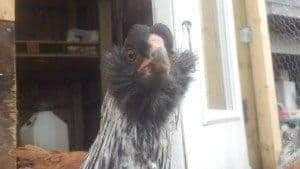 I have a cuckoo maran and blue copper marans, and hope to add some black copper maran hens this year. 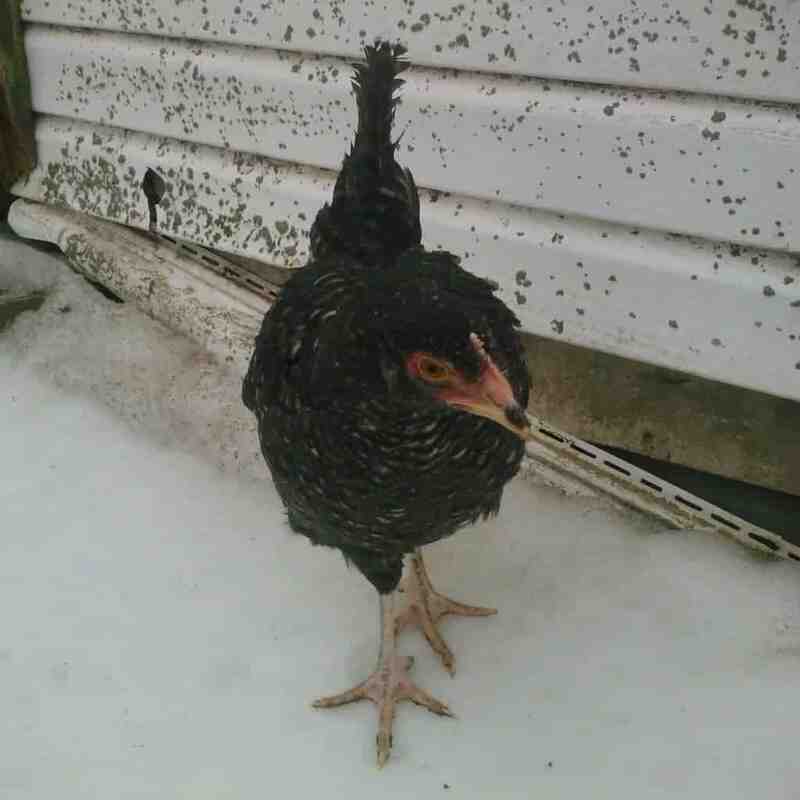 My cuckoo maran is a sweet, tame bird who enjoys human interaction. 2. Easter Eggers. Easter eggers lay colored eggs from green to blue, and any shade in between, and occasionally pink. 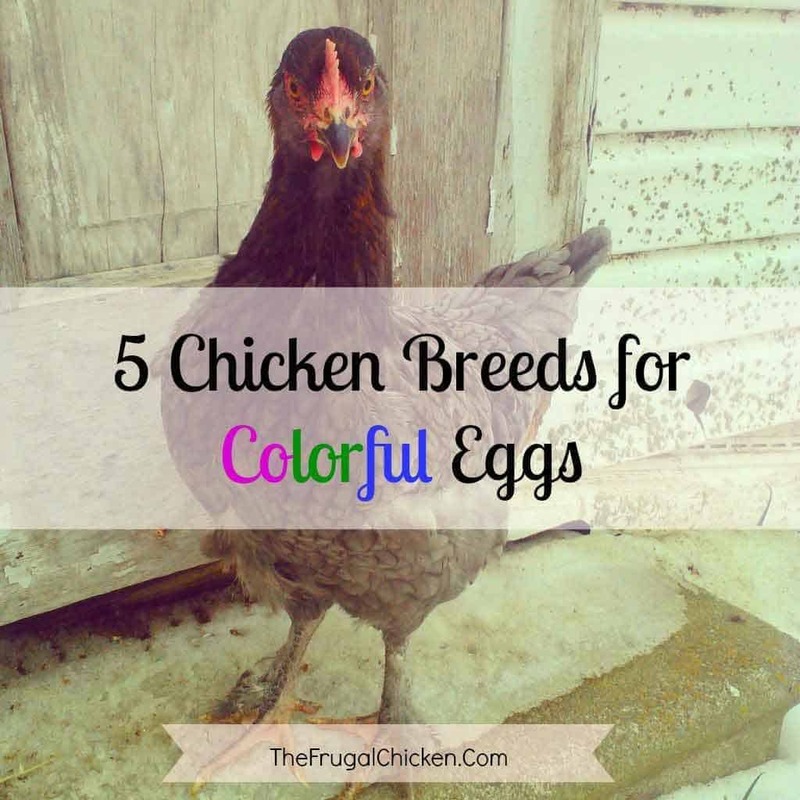 They’re not a breed, but a cross between any chicken breeds that have the blue egg laying gene. 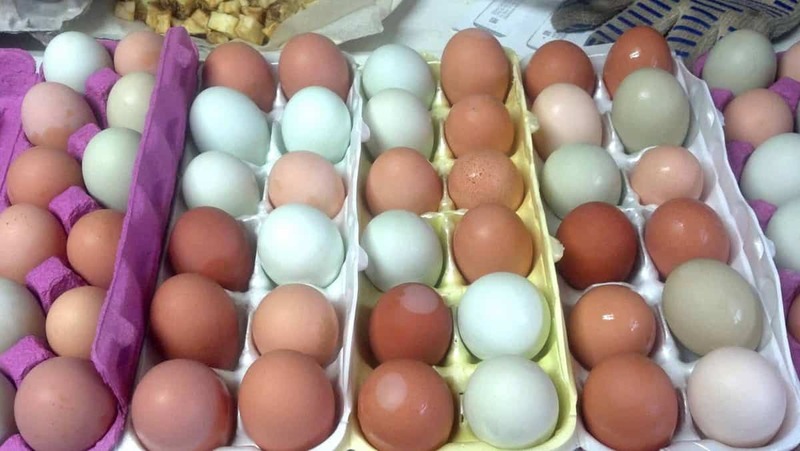 If you like surprises, Easter Eggers are a great choice for multi colored chicken eggs. 3. Olive Eggers. Olive eggers are a cross between a blue egg laying breed and a dark egg laying breed (like Marans). Like Easter Eggers, olive eggers aren’t a true breed, but a hybrid. As their name implies, their eggs are a gorgeous olive green. 4. Ameraucanas. This is a breed that lays blue eggs. Not to be confused with Araucanas (which originated in Chile), Ameraucanas can lay different shades of blue eggs, making them a nice mix with Easter Eggers and Olive Eggers in your morning egg basket. 5. Welsummer – Similar to Marans, Welsummers are known for their dark brown eggs. They lay shades of brown, from terracotta to chocolate. Sometimes the eggs also have pretty speckles, making them an interesting addition! Bonus: Cream Legbars. To add even more pastel colors to your day, consider Cream Legbars. 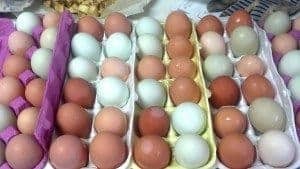 They have the Araucana genes, so they lay blue, green, or olive eggs. If you like variety, any one (or all, you know you want them all) of these choices are a great fit! 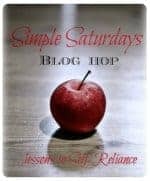 I participated in Simple Saturdays Blog Hop! What is the rate at which each one lays? Do they taste different from one another? Nope, they all taste the same. Some French chefs will only use Maran eggs, however, claiming they’re the best in the world. 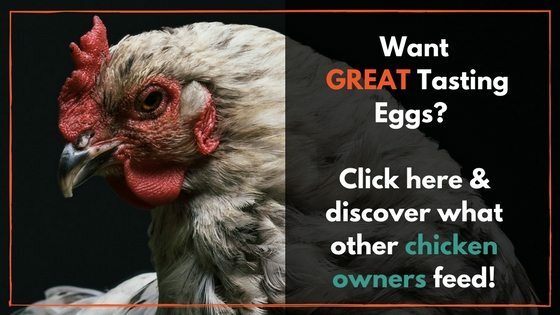 It’s one reason I bought some Marans – I had to try their eggs! My Easter Eggers just started laying eggs, but they are light brown. Did I get gyped by the chicken company that I bought my vhicks from? Not necessarily. Some EEs can lay brown eggs, and it’s just a matter of genetics. I have one that lays light brown eggs, too. Almost a pink. I wanted blue eggs from her, but it wasn’t in the cards. Thank you for all your assistance. I hope to move to the Community with my chickens that I will someday buy. I’m so jealous we can’t have chickens where I live,but I want to sneak some in a green house. Where can I get these breeds?